Start your condo garden off right, these tips will help you build a strong garden. Have you ever wanted to have a garden but didn’t think you had the resources to do so? 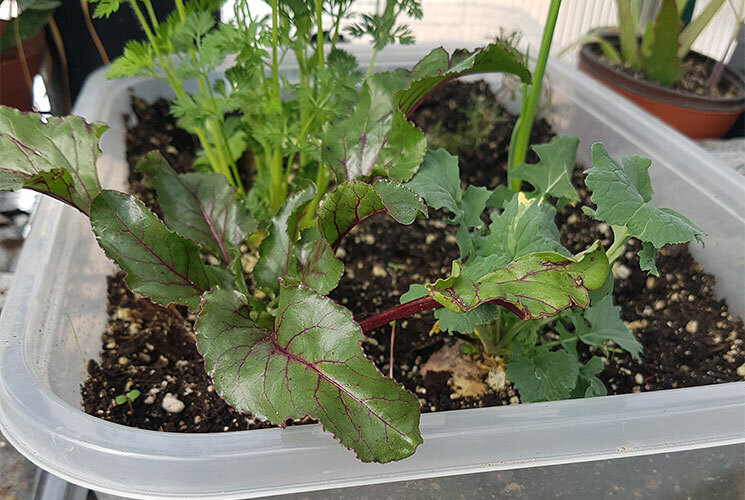 With spring just around the corner, you can roll up your sleeves and get our indoor garden growing right inside your condo, apartment or indoor living space with the help of these six tips. If you're not sure what to grow, we suggest growing what you eat. Start small and consider growing the essentials. Some popular choices are lettuce, potatoes, strawberries and peas. This way you are not wasting valuable space on the vegetables you and your family don't enjoy. To start growing indoors you'll need to have a south, east or west facing window. Most of the sunlight comes from the south during the day, which makes it so your garden gets the most sun exposure. Plants whose fruits we eat, such as tomotoes, peppers and strawberries, need a lot of sunlight to produce the best fruit. But need not worry if your living space has less natural light, a UV light can help stimulate plant growth for lots of microgreens and root vegetables! To grow indoors, you'll need a container that's a minimum of four inches deep. Some vegetables and legumes require a container about eight inches deep because their roots are much larger than your average vegetable. It's best to check the recommended depth of a container for your plant before you start. One of the biggest struggles of starting a garden is dealing with insects. To combat this, try "baking" your soil in the oven at 325 degrees for an hour. This will remove all of the bugs from the soil so the plants don't start getting eaten by anyone else before you! When you remove your soil from the oven, the heat will have stripped beneficial nutrients from the soil. To restore those missing nutrients, try using worm castings (aka "worm poop"). They contain essential minerals that help plants grow. If you do see insects on your plants try using insecticidal soap. This is the most plant-friendly insecticide you may find. When you see bugs on there, give your plants a quick couple of sprays and your problem should be solved. When it comes to watering your plants, make sure you water them every two days. If you want to water them less, there is a little trick you can use to build a self-watering system. 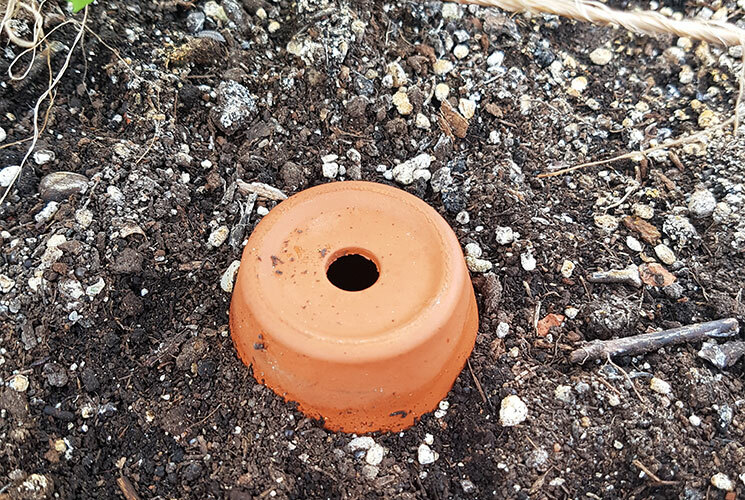 Take two terracotta pots with holes on the bottom of them. 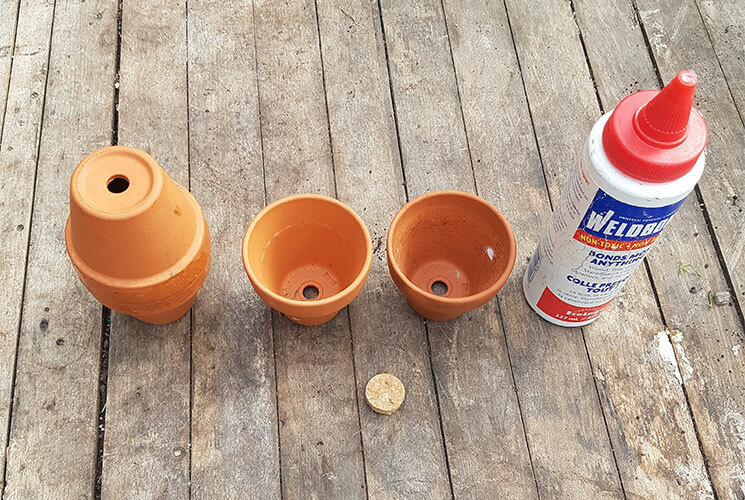 Cut a quarter inch of a wine cork and glue it to the inside bottom of one of the terracotta pots. Glue the upper rims of the two terracotta pots together, making it so the only opening is the hole that is uncorked. Fill the pot with water and bury it in the soil with the uncorked hole about one inch out above ground. This will water the roots of the plants on a consistent basis due to the porous terracotta material. The soil will absorb water from the pot when it becomes dry. Depending on the moisture in your soil, you should only have to fill the terracotta pots every 4-5 days. During the winter and early spring, the days are a lot shorter which means less sun. Seeds and young seedlings are especially vulnerable to the cold and need warmth to develop the nutrients they need to grow. To counteract the lack of warmth from the sun, take sticks and put them in the soil. Then get a plastic bag and put it over the container so that the sticks prop it up above the plant. The bag will act like a mini greenhouse and trap the heat into your garden. Excited to learn more about urban agriculture and get your condo garden started? Join us at Evergreen Brick Works on Sunday, March 17 for our annual Seedy Sunday!